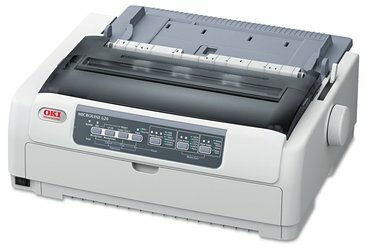 We recommend any modern laser printer over a dot matrix printer. However, we understand that business may need to use these types of printers, especially with multipart paper (e.g. for invoicing). If you must use a dot matrix, the OKI 624339801 is the printer that we recommend as it is tested and works with our world-class software POMeSYS. We cannot guarantee that any other dot matrix printer will work with our program. For more information, please contact our sales or support team.